The team of outdoor living professionals at SRA Home Products is pleased to offer screen rooms with an array of customization options to homeowners in Downingtown, Pennsylvania. A screen room is an extension of your house, and just as you would with your home, you should be able to customize a screen room to meet your family’s needs and tastes. Style — You can select from screen rooms in various styles, including studio and low cathedral. If you’re looking to enclose an existing porch, gazebo, or other structure, you can also choose our vertical retro option. 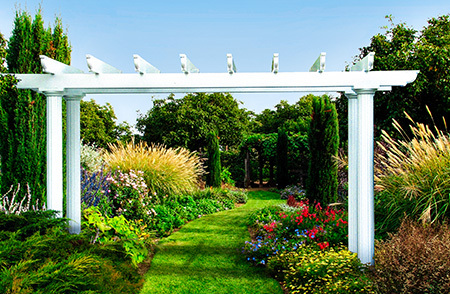 Color — Your screen room can be constructed with a white, sandstone, or bronze frame. Vinyl sashes — Our screen rooms feature removeable high-quality vinyl sashes that block up to 99 percent of ultraviolet rays. You can pick from multiple colors, including clear, smoke, grey, dark grey, and bronze. Screens — We offer a variety of screen choices, including fiberglass memory screens, solar insect screens, no-see-ums 20×20 screens, and pet screens. 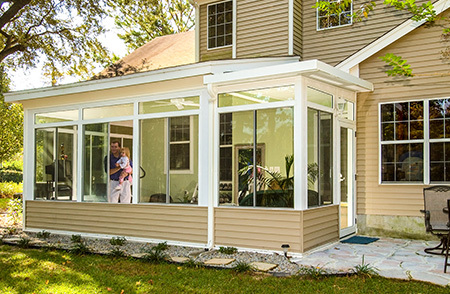 Additionally, one of the benefits of installing a TEMO screen room is that you’ll have the option of upgrading the structure to a sunroom at some point in the future, if you choose to do so. Simply by replacing the vinyl sashes with HPG 2000 glass, our professionals can help transform your screen room into a more fully enclosed living space. If you’re interested in adding one of our screen rooms to your Downingtown, PA, home, please contact SRA Home Products today. 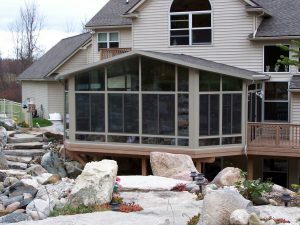 We will be happy to provide you with additional information about our screen room options and get you started with the design and installation process.